Dr. Thomas Campen is a board-certified ophthalmologist with advanced fellowship training in cataract surgery and disorders of the anterior portion of the eye. He has extensive experience in LASIK surgery, having performed more than 25,000 Lasik procedures across the country during the past fifteen years in affiliation with LASIK Plus Corporation and Laser Vision Institute. Dr. Campen graduated from Davidson College, North Carolina, in 1973 and received his M.D. from the University of North Carolina, Chapel Hill, in 1975. He studied in the Department of Pathology, University of Freiburg, Germany, from 1975–1976, and performed research in immunology at the University of Pennsylvania from 1982-1983. He completed internships in internal medicine both at the University of Kentucky and at St. Agnes Hospital in Baltimore, Maryland, and completed a residency in internal medicine at the Medical College of Georgia in 1990. In 1996, Dr. Campen completed a residency in ophthalmology at Henry Ford Hospital, Detroit, Michigan. In 1997, Dr. Campen completed a fellowship in cornea, external disease, and refractive surgery at the Louisiana State University Medical Center, New Orleans, Louisiana. Dr. Campen has extensive research experience and publications, completing in 1981 a postdoctoral research fellowship in nephrology at the San Diego School of Medicine, La Jolla, California; in 1982 a postdoctoral research fellowship in immunology at the Salk Institute, La Jolla, California; and in 1986 a postdoctoral research fellowship in pathology at the Dana-Farber Cancer Institute, Harvard Medical School, Boston, Massachusetts. 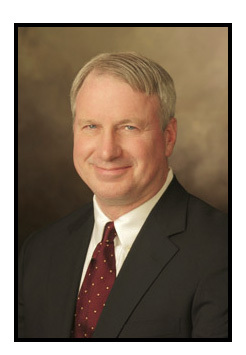 Dr. Campen is board certified in internal medicine and in ophthalmology. Dr. Campen is on staff at St. Josephs / Candler Hospitals and is a provider for most health insurance entities. Dr. Thomas Campen is recognized as a leading Savannah eye surgeon for his ability to help patients achieve remarkable vision correction results. He utilizes the most advanced techniques and technologies to provide a top-quality vision correction experience for LASIK Savannah patients and other eye care / eye surgery patients in Savannah and Hilton Head, Georgia.